IHS Technology has tracked expenditure on TV programming by the leading free to air and pay TV groups in North America, Japan, Australia and Europe. In 2014, it forecasts that worldwide TV programming expenditure will increase 4%, the 13 countries surveyed having surpassed the $100 billion mark. 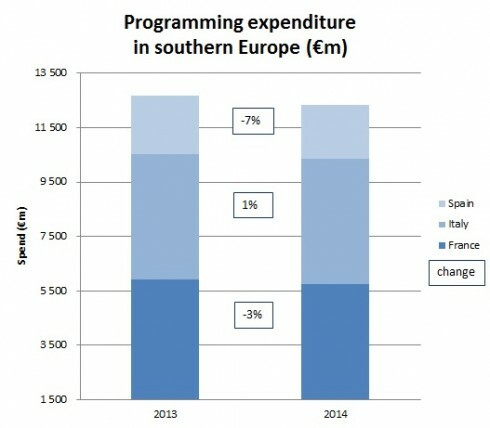 The US will remain the world’s leading programming market, followed by Japan and the UK. Europe will increase to $71.2 billion in revenues. However, despite strong forecasts for many individual companies in Europe, market totals continue to me mixed, especially in the south (Italy, Spain and France). IHS Screen Digest is the largest media-focused research firm in the world with more than 50 analysts covering over 65 global territories. IHS’ Tom Morrod and Stuart Anna both speak at MIPTV, April 8; click on their names for session details!